There are a lot of reasons people set aside money. Some save for vacations. Others save to boost their emergency fund, while some sock away money to help pay for their child’s education. However, two of the most common reasons people save is to pay down debt and pay for retirement. People take on a variety of forms of debt throughout their lives. It begins with student loans or a vehicle loan. Then, later in life, mortgage loans or lines of credit become more popular. It’s not uncommon for the average family to live with some sort of debt right up to retirement and beyond. There are those who see debt as a burden that needs to be eliminated right away. Others see debt as a tool for investing and building the life they have always dreamed of. The struggle for many, no matter what their outlook on debt, is to save while also paying down debt. In this article, we will look at how retirement planning relates to debt and whether you should invest for retirement while tackling your debt. As is the case with many financial subjects, there is no one-size-fits-all answer to this question. This article does not contain the magic formula to help you determine debt payments and savings. Your unique situation will be different than the situation your friends, family members, and co-workers find themselves in. With that said, there are some basic considerations that you can take into account while trying to balance debt and retirement planning. With the right strategies, you will be able to reach the goals you have set for yourself. As mentioned, debt can come in all shapes and sizes. How you approach your debt will largely depend on the type of debt you are holding. 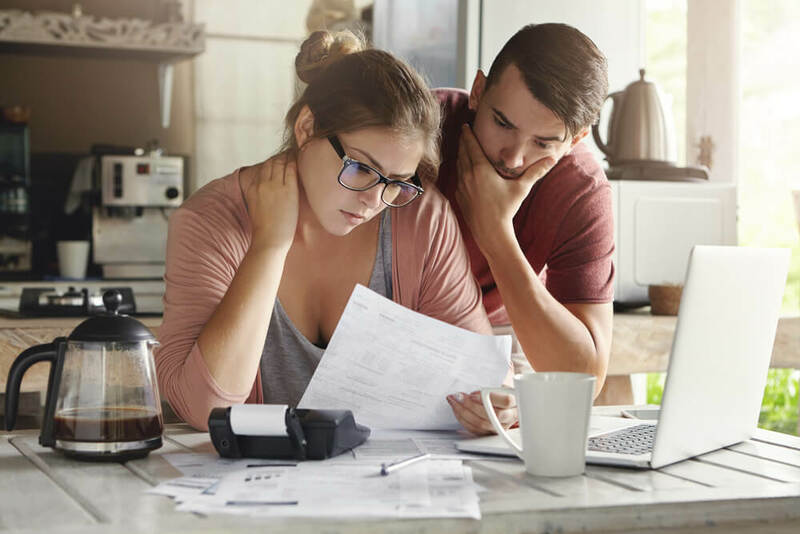 It’s important to sit down with statements for all of your debts and make a smart plan that helps you reduce your debt as quickly and effectively as possible. A general rule of thumb is to tackle high-interest debt very aggressively while continuing to make regular payments on other debts. Once the highest interest debt is paid off then you may wish to focus more aggressively on the next debt facility. Over half of Americans hold credit card debt right now. This is the most costly form of debt for the average family. With high-interest rates, annual fees, and various other fees that can be accrued, credit card debt can immediately get out of control. If you carry a credit card balance, then this form of debt should be the one you pay off most aggressively. Another common type of debt that many families have to include in their monthly budget is fixed term loans. These loans are often taken out to pay for vehicles or even a college education. In most cases, these loans bear a lower interest rate than credit cards. In addition, fixed term loans are not revolving debt. Simply making the payments until the end of the term will ensure the loan is paid out and closed. Finally, mortgage debt is another very common form of debt that families carry.Mortgage loans carry the lowest interest rates because the loan is secured by a fixed asset: your home. Everyone, who owns a home, dreams of the day they can be mortgage-free. But paying down more than your regular monthly payment is probably not the right decision, especially if you have other debts to consider. As people look to drastically cut down their debt load, they often consider cutting back on retirement savings. While this may be necessary to meet debt obligations, it is important to continue investing and planning for retirement. How you allocate your debt payments and retirement savings will depend on your personal situation. It also depends on how badly you want to be out of debt. However, completely eliminating retirement savings to focus on debt management may cause more long-term harm than good. As you look at your loan balances and interest rates, you must consider the opportunity cost of the money you are using to pay down these loans. In the case of high-interest debt, like credit cards, paying down the balance will have a very positive effect on your finances. Conversely, aggressively paying down debt, like a mortgage that carries a lower interest rate, may end up costing you money in the long run. How can paying down debt cost you money? It seems like such a wild statement, right? Consider the benefits of paying down a low-interest loan. Compare those benefits with investing the funds you would have otherwise applied to the loan. Even a relatively conservative portfolio can earn a higher interest return than the interest being accrued on your loan. The net result is more money in your pocket by choosing to make regular payments on your loan and invest in the surplus instead of aggressively paying down the loan with minimal investments. It can be very hard to invest for the future when there are statements showing a balance owing in front of you right now. Investing for retirement and paying down debt are two very rewarding financial choices with different timelines. Like we mentioned, there is no magic formula for paying down debt while also saving for retirement. A balance must be struck and that balance may look different from person to person. Are you kept awake at night knowing you still owe money on your home? Or do you see your mortgage as “good debt” that allows you to invest for the future? If you’re looking for retirement planning advice that considers your needs today and well into the future then contact us at Mooney Lyons today. We can help you create a strategy that you can be excited about.